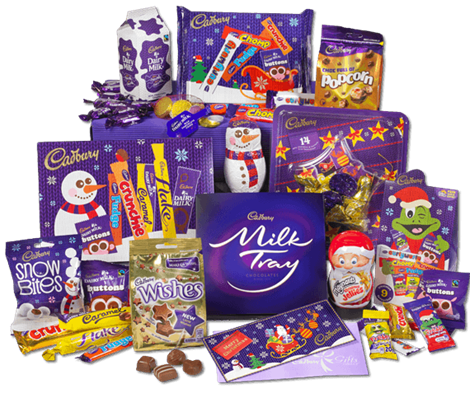 On the third day of Christmas my true love gave to me....... a hamper of chocolate from Cadburys. After all we know the way to a woman's heart is chocolate! So for my third giveaway I present to you a prize for the chocoholics among you. If you're not a chocoholic yourself, I am sure you know someone who is. To enter this giveaway just leave me a comment telling me what your favourite Cadburys chocolate is and enter using the rafflecopter box below. This giveaway is UK only and runs until the 26th December 2013 and the winner will be announced on the 27th December 2013. Disclosure: Cadburys are providing a hamper for one lucky reader. I was not required to write a positive review and any opinions expressed are my own. I think my favourite would be cadbury's fudge, just a little treat! my favourite cadburys chocolate is milk tray.Yummy! Cadburys Flake - It was a Spira but since they have been discontinued for years I have had to shift to flake!! My favorite has to be Crunchie i can not get enough of them lol. Flake is the finest Cadbury Choc. nyum. I love the Flake - just lie back and tip it into my mouth! Mmm! Cadbury ' Picnic bar of chocolate. There is nothing quite like a Wispa. definitely a Freddy the Frog. My favourite Cadbury's chocolate is a Boost bar. Cadbury's Flake has to be my all time favourite - yummee! My favourite Cadburys chocolate is the traditional Bourneville! I love dairy milk, I melt it down in the microwave. What an amazing prize, I love Cadbury's! Cadbury Dairy Milk for me. Dairy Milk - nice big bar. The dairy milk jelly popping candy shells! Got to love a Crunchie! has to be choccy buttons! Hmm...I like white chocolate, but then flakes are good. Also, curly wurleys are great childhood memories. Can I have all three? I love a cadburys caramel. Fudge, only the kids like them too. Fry's Turkish Delight - Fry's used to be owned by my relatives before they sold out to Cadbury's. I suspect now though that they would be spinning in their graves if they new that Cadbury's would be sold to Kraft! Crunchie I think. Or Turkish Delight. No, Crunchie. Yeah. i love dairy milk ! I'm trying to win this for my mom, and her favorite is the Cadbury Cream Eggs that they have at Easter. As much as I love ALL Cadbury chocolate, if pushed I'd have to choose wispa! Cadbury's Crunchie...it's aaaalways been Crunchie! curly wurlys are my absolute fave! Hard to decide on just one, but a Wispa would win. Everyone's a Fruit & Nut case! It has to be Crunchie, just because of their adverts when I was growing up - thank Crunchie it's Friday! Crunchie, or maybe a flake! The new bar with popcorn in it. it has to be dairy milk. still love it! It has to be Dairy Milk..Still love it! A finger of Fudge. Purely because of the rude sentence written under the flap on the wrapper. About blowing something out of a hosepipe. The caramel bars are my favourite!